32 How Fast Can a Human Being Run? "From starting-gun to finishing tape may be a clean ten seconds, but behind that moment swirl a few thousand years of human joy and despair and endeavour—this seems to be the argument of Gotaas’s rich and engrossing book." "Recreational running, Gotaas points out, has been around since the dawn of recreation time. It’s not some modern punishment we invented to burn off excess pints and pizza; it’s our most ancient and universal form of play, and has been rhapsodised and dramatised for thousands of years. Gotaas combs the world for true running tales, and comes up with some beauties. . . . An amazingly wide-ranging study." 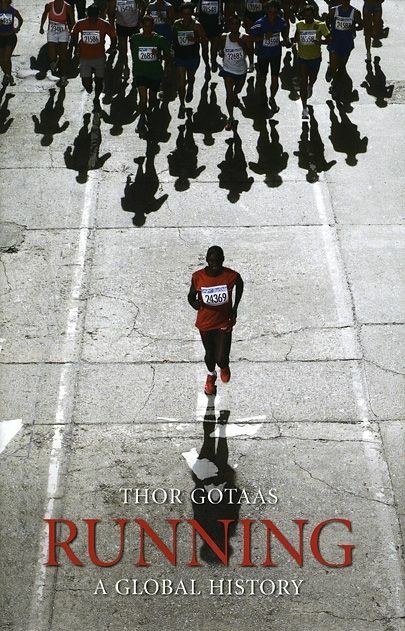 "Gotaas takes a broad, shallow approach in this history of running worldwide. . . The book includes many interesting pearls and debunks myths associated with running. . . . Recommended."